We design and manufacture a wide range of Currency Counting / Detection Machine, which is available in various sizes and dimensions. 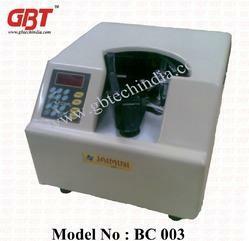 These machines are quality tested on well-defined parameters to ensure their flawlessness. Our range is appreciated for its low noise operations, ability to detect fake notes and easy installation. These are offered at economical costs to the clients. 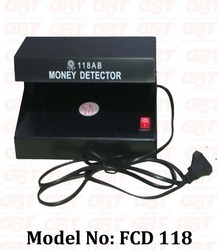 Our organization offers a quality range of Fake Note Detector that is easy to use and can be manually operated. These are capable of detecting the fake notes in a bunch without consuming more time. The range is compact in design, requires low maintenance and offers hassle free operation. 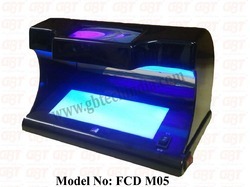 UV Lamp :- The UV Lamp can detect counterfied money, stock note,credit card. traveller's cheques, fluorescent marks & other legal documents. it can even detect minutest trace of kind of man made fiber. Water mark :- the water mark can detect and check the water mark , wire pattern. figure and any painted out the money. Magnifying lens :- it makes it easy to detect minute mark, when the UV lamp and white light are on. the currenc is magnified manifold. UV, mg,wm detection function with mannfier. 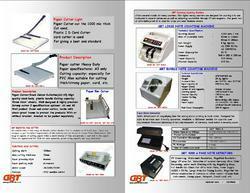 Alert indicator and alart beep are optional in magnetic detection. The magnifier size is 97*50mm , multiple is decuple. Power source: ac220v/50hz/ac 100v/60hz, dc12. There is a converting switch for ultraviolet and watermark. Counting Speed 1000 pcs per min. 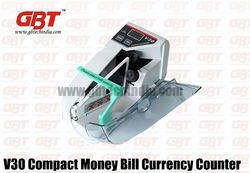 Keeping in mind the diverse requirements of the clients, we offer Currency Counting Machine (Loose Note). These are available in various sizes, lengths and dimensions. The range is capable of systematically counting loose notes within a short interval. Our range is appreciated for its compact design, low noise and smooth operation. 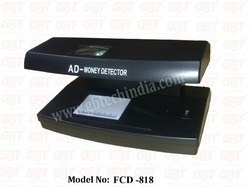 offers several models of money counters. Our digital money counters are designed for counting bills and banknotes in several currencies as well ne great tool at affordable price! It is ideal for shops and small business owners. Vacuum Suction based technology with five spindles Useful for bundled note or loose note counting. Heavy duty & high speed operation. Auto and manual control of counting. User-friendly operation. High precision accuracy. Alarm message for errors. Low noise operation. High reliability and versatility. Special dust collecting filters. Steel / fiber body, easy to move. Elegant, compact & portable design. Optional count for all types of documents like cheques, vouchers and coupons. Specially designed for handling all kinds of Indian currency. 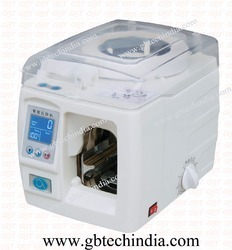 GBT 002 BC Currency Counting Machine and Bundle Note Counting Machine - (Bc-002). 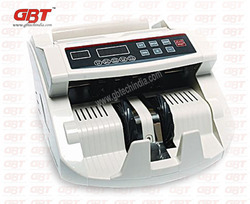 We offer a precision engineered range of Currency Counting Machine (Bundle Note) that is capable of working without wasting time. 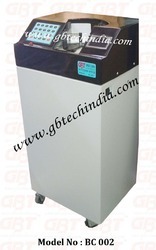 The machine operates at a low noise and provides easy reading of the currency. These are light in weight and available in many sizes & dimensions. Simply operate and quickly bind with paper tape. The cost of paper tape used is low and can be stamped. Easy to operate:Please put the notes vertically into entrance,then automatically finished theaction. Show function:Chinese,English shows for global.The machine functions, failure at a glance. Users can exclude their operation. Reduce the probability of repair.Improve user productivity. Set up a simple:Demand on the heating temperature can be set. fault shutdown,can safety,environmental protection,energy saving effect. 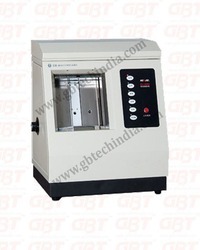 General Supplies:Users can adjust by setting the temperature of hot pressing to meet the different use of paper tape.